Boers-Li Gallery is pleased to announce Ma Yanhong's solo exhibition, "Artists' Portraits", opening Thursday, November 22, 2012. 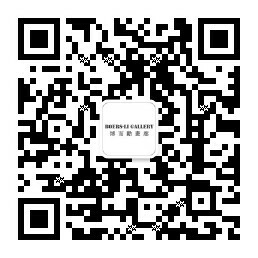 This would be her first solo exhibition in Beijing since 2007. Ma Yanhong graduated from the Central Academy of Fine Arts in 2002 and became a central figure of N12, participating actively in all N12 exhibitions (N12 was initiated by twelve CAFA students in 2003 to do group projects and exhibitions together, and this group of artists has since become a symbolic representative of their generation of artists). Ma is known for her portraits of young women, scarcely clothed, staring out of the canvas directly at the viewer, putting both the subjects and the audience at risk of vulnerability. Interested in the human figure from the beginning, Ma Yanhong painted her first artist portrait in 2002 as a graduation project from CAFA. Unsatisfied with the regular "model drawing" class, Ma Yanhong took the curriculum in her own hands and portrayed herself and three other classmates, all of them close friends with each other. Gathered in a deserted classroom they took "model" photographs of themselves. These photo sessions became an artistic routine for Ma Yanhong's paintings: She sets her models in a specifically generated setting to pose in action for the camera, and then she recaptures what was on film on canvas. To her, painting is a way to do what cannot be done in the real world—a painting is an alternative existence where all impossibilities of society become possible in painting. By revolutionizing the model painting class in this manner she brought Chinese painting decisively closer to real life. Critical to Ma Yanhong's artistic practice of these portraits is that she knows her models well, be it herself, her friends and old N12 classmates such as Song Kun, Qiu Xiaofei, and Hu Xiaoyuan, or the teacher of an international art school, all portrayed for this exhibition. This level of mutual trust is deepened in the photo shoots, which is essential for the final result. This is why Ma's portraits have such a strong impact on the viewer: She juggles extremely well simultaneously the intensity of intimacy as well as distance to which the viewer is being exposed of. She finds a balance between voyeurism, exhibitionism and abashment from the side of the exposed models as well as from the side of the viewer. In "Soft Skin 2", Qiu Xiaofei and Hu Xiaoyuan are situated in their home on their sofa. Their poses are nonchalant and seemingly natural, but their clothing and toy props are deliberately arranged; Hu Xiaoyuan's gaze is unfocused, not looking at anything in particular, and the two of them are simply resting in a not-so-quotidian situation. Their setting is familiar, yet there is a distinct strangeness to the painting. This work, like many others in this exhibition, draws the audience in while pushing them away at the same time. Moreover, her works cleverly establish a gender-neutral tone and instates equilibrium between male and female roles. For this solo exhibition, "Artists' Portraits", Ma Yanhong develops a specific design where the public can meet her works in a special environment of informality and intimacy. Furniture, music and other living room attributes pull the traditional exhibition space away from the conventions of galleries as "white cubes" and allow the audience to be closer to the paintings themselves.